It’s very sad, indeed. Isa has never had a grandfather, as René’s father and my father both died before she was born. My father has been gone for almost thirty years now and it seems as if I think of him more often as I grow older myself. It’s become a regular occurrence that his memory comes to me when I’m reading or writing and I don’t know the meaning of a particular word. I think to myself, Oh, if only Dad were here—I could ask him—because when I was a young girl, every single time I needed to know what a word meant, he always knew. Lately, I think of my dad every time I walk through the living room. 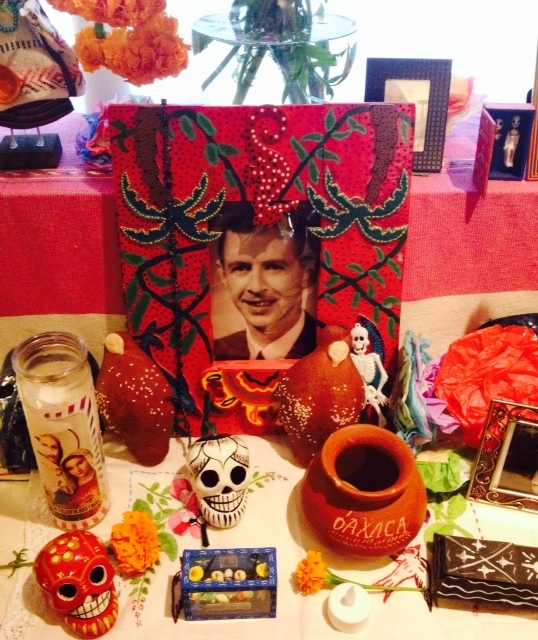 It’s that time of year again when we set up our altar for Dia de los Muertos—Day of the Dead, and his photograph is the focal point of our altar. 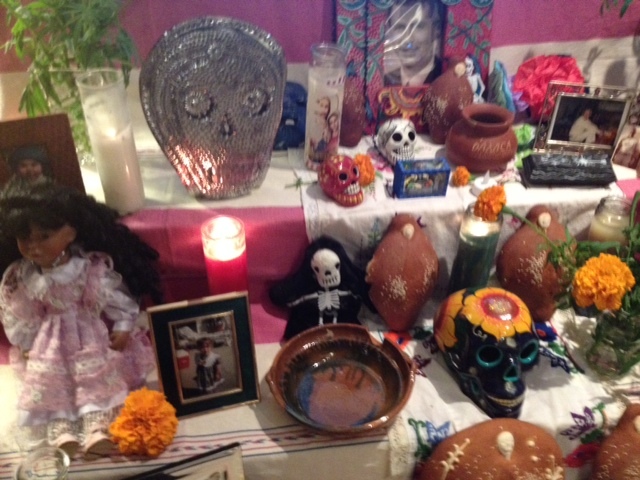 He’s surrounded by skulls, candles, marigolds, pan de muerto, and most importantly, by the smiling faces of other relatives and friends who have also left this earth. I think he would be surprised by the number of faces placed next to his: his two younger brothers; his granddaughter, Gillian; the many faces of Isa’s young friends who’ve all died from cancer. 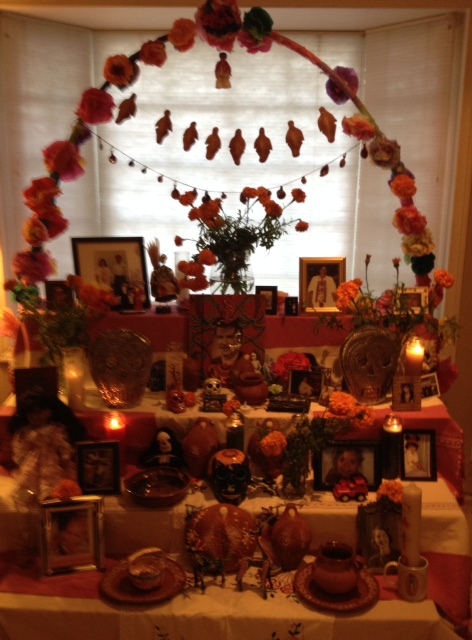 He might be a little bit pleased that on this altar he’s still the patriarch—the grandpa watching over them all—a part of something that we who are still here on this earth have yet to understand. It feels good to remember that in more ways than not, my dad was a decent man. He was flawed, as I am, but he did the best he knew how to do, just as I’m doing the best I know how to do. And despite his imperfections as a father, he must have done a few things right along the way. After all, I turned out pretty good.